There are no important economic reports in Eurozone to influence EURUSD therefore traders are looking at the US reports such as ADP Employment Change and US Initial Jobless Claims. 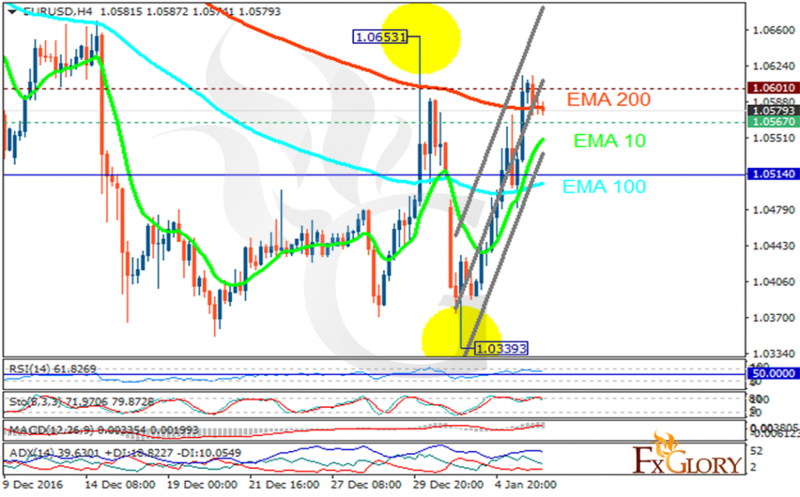 The support rests at 1.05670 with resistance at 1.06010 which both lines are above the weekly pivot point at 1.05140. The EMA of 10 is rising sharply along the ascendant channel and it has crossed the EMA of 100 but they are both below the EMA of 200. The RSI is moving in overbought area, the Stochastic is showing downward momentum and the MACD indicator is in positive territory. The ADX is showing a weak buy signal. Short positions are recommended targeting 1.045 area.